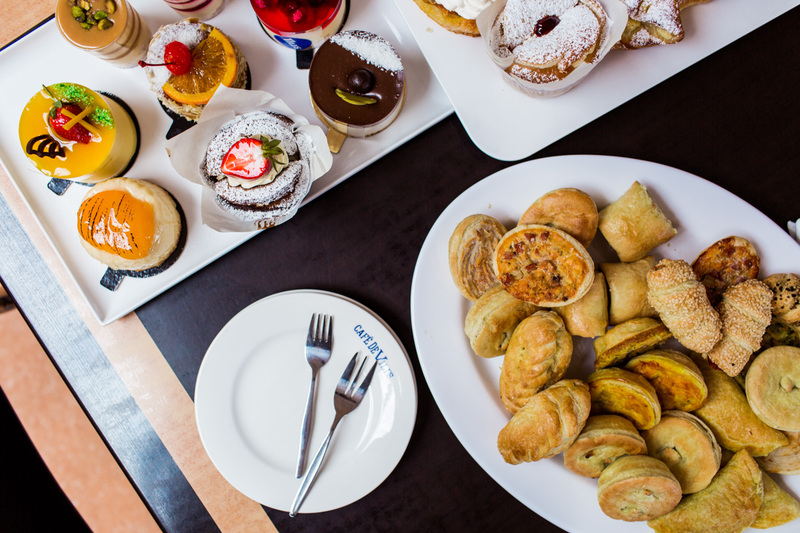 Vilmos Milisits has fashioned a domestic and export pastry empire by mixing the flavours of his ancestry with an acute understanding of market needs. But the thing that keeps the Vili’s Cakes business growing is not an appetite for baked goods, it’s an appetite for risk. Vili Milisits’ story is an archetypal rags to riches tale. The youngest of eight children born to Hungarian parents, he spent almost two years in refugee camps when he was under the age of ten. Now, past the age of 60, he owns and operates Vili’s – a company with a burgeoning market share in about 17 countries and local brand recognition that surpasses almost every other wholly South Australian-owned brand. As an adjunct to his empire built atop a tower of pies and pasties, Vili and his wife Rosemary also possess a diverse real estate portfolio, own a refrigerated transport business that operates in ACT and NSW, and run a spring water label. But while Vili’s trajectory from new migrant to SA success story seems purpose built for cliché, embracing the romantic narrative glosses over the reasons for his meteoric rise. At the centre of his success is an unflinching embrace of risk. From the very start of his business life, Vili has been willing to gamble everything for a try at growth. At age eighteen he launched his first business immediately after completing his apprenticeship as a pastry chef. While he had no original passion for baking, Vili had taken on the apprenticeship at age 14 because his father had fallen ill and Vili needed to find work. To his mind, now that he had the right skills, starting his own venture producing continental cakes was the natural option. After the initial sell-off of his worldly possessions, Vili, his new wife and the business – which he’d set up out the back of an old cottage in Mile End – were sustained by decent sales and some help from a Japanese finance company that stepped in with a high interest rate loan when the local banks refused to consider Vili’s prospects. Things were ticking over nicely, but soon Vili realised that it was time to put himself on the line once more. His customer base for continental cakes was ageing, and he sensed a new market emerging. Some of the early growth Vili’s experienced soon after installing the new Manchester Street production facility must be attributed to a long working relationship with Andrew Killey of KWP! Advertising. The collaboration between Vili and Andrew resulted in a series of iconic radio ads that aired throughout the ’90s and secured the brand’s status as a household name. 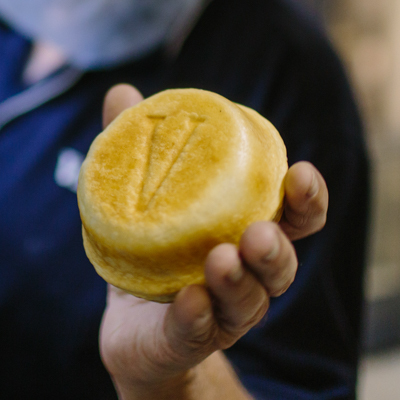 At the time, Aussie pies and pasties were defined by one thing – they were reliably bland. So, in the process of taking the risk of diversifying his output, Vili also began flexing another of his key business senses – a perceptive approach to market needs, and an ability to innovate to meet them. “I didn’t like the pies, pasties and sausage rolls that were out there so I changed it to my way,” says Vili. This was in the 70s and 80s, when the cornucopia of pie fillings we expect even in rural bakeries today was a far-off dream. Vili led the charge in revolutionising the savoury pastry market – adding chilli, garlic and spices to pies, creating flavours like Hungarian goulash and doing it with recognisable beef cuts, chicken or lamb. 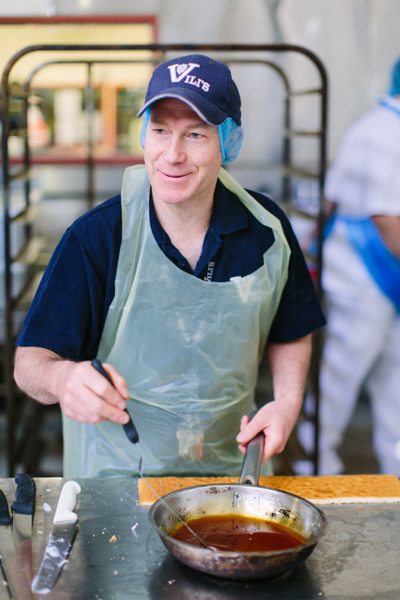 He also developed a new style of pastry to wrap around the innards – replacing the traditional shortcrust pastry, which he says is “high in tallow and high in fat” with a flaky pastry modelled more closely on what would be served in Europe. Vili’s pies make sense to someone eating them in 2016, but decades ago they caused consternation, and things in the Mile End bakery slowed. But the company held steady on the new path –and after some time spent educating consumers, the pace of business picked up, slowly returning to trade levels that were on par and then surpassing the height of the continental cake era. The big shift into producing what Vili terms “Aussie product” had worked out – just – but now Vili was faced with another problem. His success had outgrown his facilities at Mile End, which had been modified over the years to evolve from accommodating a start-up continental cake business to housing a diverse baking company with a turnover in the millions. “When business is booming, you have to decide – will you take the next step or stay where you are?,” says Vili. Vili and Rosemary – who is and always has been a partner in the business – once more leapt into the unknown, this time to expand the production facility onto the land neighbouring their current property on Manchester Street. But in this third big risk of Vili’s business life was the seeds of the company South Australia knows today. The plant was designed to set Vili’s up to start gaining market share – both at home in SA, interstate and even overseas. Everything that was built at that point had extra capacity for growth – from the spare machinery that sits waiting to keep production moving in the event of a failure of the regular equipment, to the purpose-built pastry mixers. “I even designed my own machines,” says Vili. 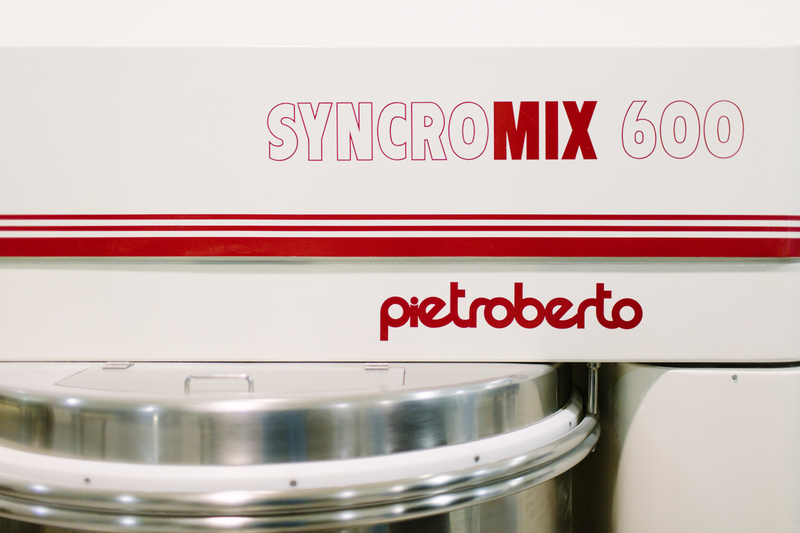 “I had to go to Italy to get them to make a machine the way I wanted it. Engineers are engineers and pastry chefs are pastry chefs and we never seem to get together. 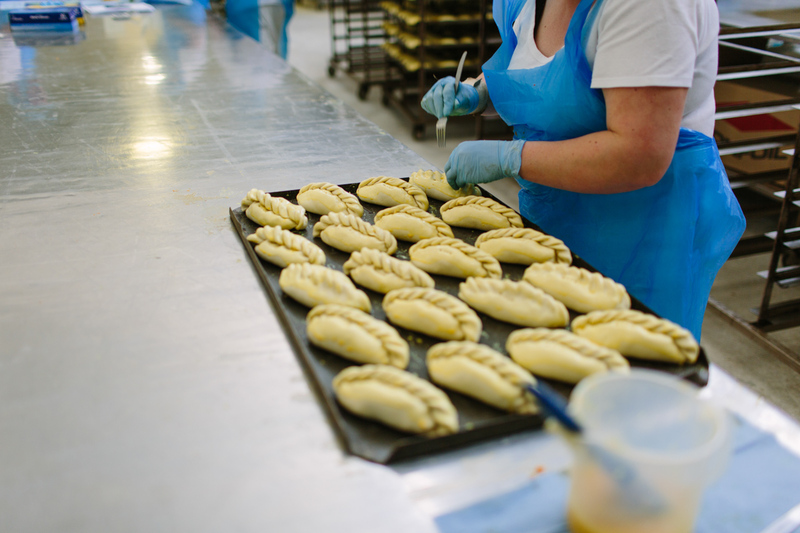 That set-up has served the pie and pasty brand well in the intervening years, although Vili is always making alterations – adding a new production line here, a warehouse there, an on-site butchering facility over there. 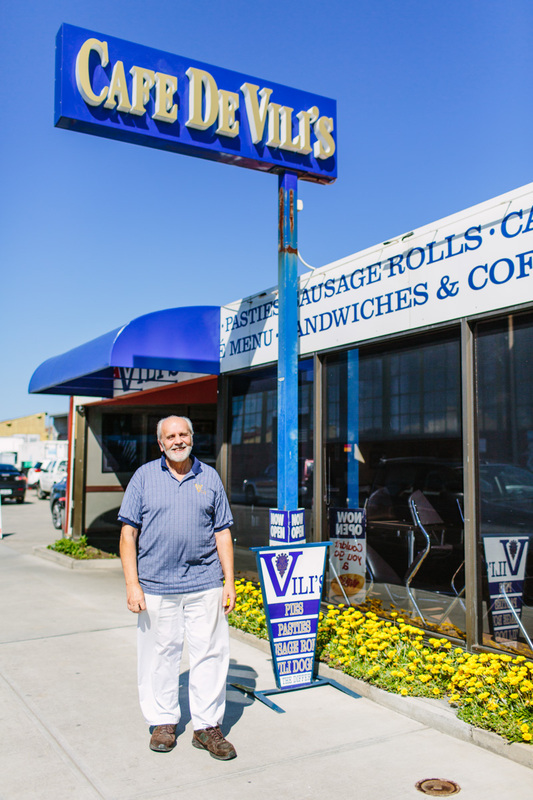 These days, his bakery can and often does produce anywhere between 150,000 and 200,000 units per day, covering everything from pies, pasties and donuts to the continental cakes that started it all for the company. And his continued steady expansion has seen him take over more and more of the industrial block along Manchester Street – Vili is several steps along the road to achieving his ambition to own all the real estate along that stretch. But while the product and production of Vili’s has settled into a regular growth trajectory, that hasn’t stopped Vili taking a few more big risks over the years. One of the most notable was his aggressive pursuit of the contract to supply baked goods at the 2000 Sydney Olympics – a move Vili saw not so much as a profit-earner, but as a marketing opportunity. Another defining gamble of the Vili’s story is the establishment of an icon – the well-loved Café de Vili’s, which is located just in front of the production bakery in Mile End, and has recently been expanded to operate in a second location at Blair Athol as well. “It was very small once – people used to come to the front door and we would serve straight off the rack to customers, but office staff were getting annoyed,” says Vili. But with the café – just as it was with the Olympics, Vili again saw the chance to do more than diversify his income streams. He thought the outlet would give him the perfect testing ground to develop new products. “I looked at the fact that when a new product came out they gave me the feedback,” he says. The final frontier for the insatiable appetite for risk that Vili can’t seem to shake after almost 50 years in business is the international market. A strong global presence for the brand is his ultimate ambition. “We’ve been well established in Singapore for 21-odd years – that was the first market,” says Vili. “And Japan for about 19 years, Hong Kong for 20 years, Vietnam, Cambodia, Thailand, Taiwan, the Philippines, England, New Caledonia, Scotland – we’re in about 17 countries in total. “When I first started exporting the Aussie dollar was about 61c, then the American and European policy went bung and the Aussie dollar went to $1.05 – that was murder. We rode one crest, we rode the second crest, our exports went backwards, but it’s two steps forward one step back. For Vili, playing it safe ranks next to using textured vegetable protein as a filler in his pies on the list of things he’ll never do. And given his consistently winning track record of risk and reward, that seems like a pretty sensible approach.